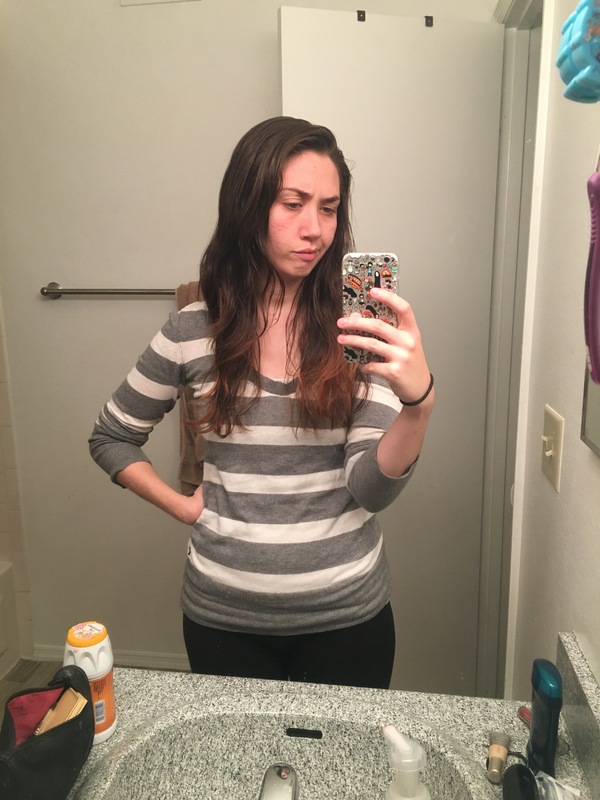 I’m Joining The No Poo Movement: What Will Happen If I Stop Washing My Hair? Well, I’ve officially decided to join the No Poo movement, which apparently is a thing. It involves ditching your typical hair care habits, aka washing your hair with shampoo, because of chemicals, and the stripping of natural oils, and all sorts of reasons. 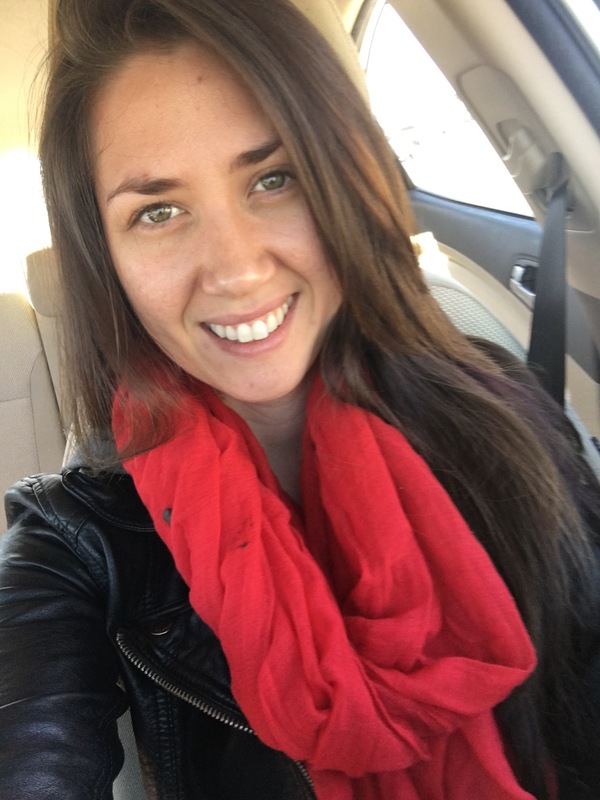 Now supposedly, after a period of time when you stop washing your hair, (following days of greasyness, smellyness and downright grossness) your locks become healthier, more luscious, easier to style, and easier to manage, like this youtuber. This sounds like something I could get on board with. 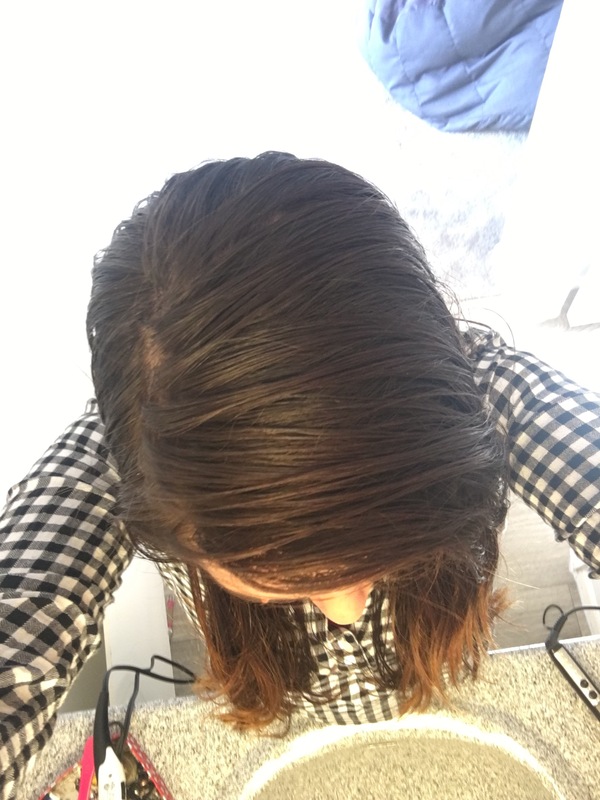 I first read about ditching the shampoo about 5 years ago, and I was extremely intrigued. Partially because I like the idea of living a more natural and chemical-free lifestyle. But if I’m being honest, it’s mostly because I’m lazy as f#€k. But back then, I was way too insecure to brave the embarrassment of gross hair for who knows how long before starting to see results. Well, now I’m older, I care less about what people think, and I’m fortunate enough to work in an environment that supports personal style. So, I’ve decided to finally give it a go! Below is a picture of me post salon shampoo, cut, and style. This is what my hair looks like on, basically a really good day. My hair definitely doesn’t always look this good (because remember, I’m lazy) and often times it’s dry, tangled, frizzy, and all sorts of unpleasant. 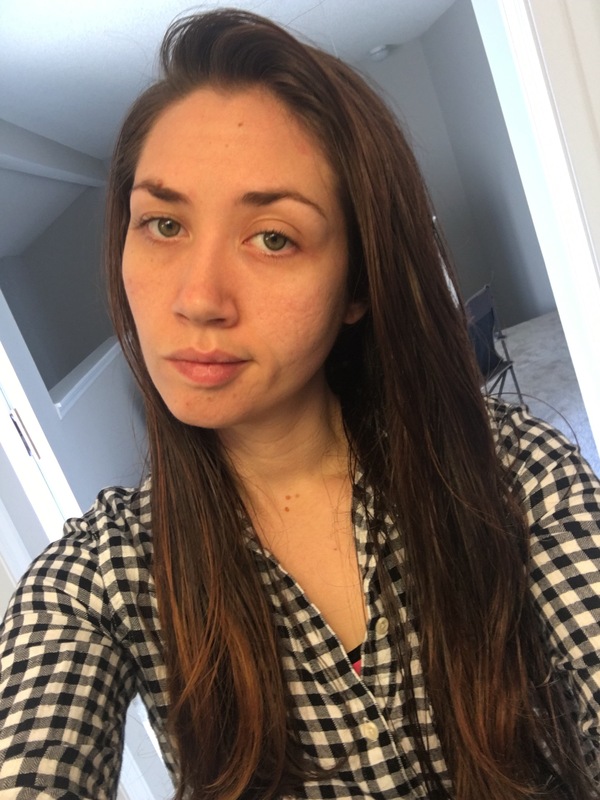 I’m currently a week into my personal No Poo adventure and I already notice a difference (besides more grease of course). After just a week of not washing my hair, it’s softer and it has no tangle. (Note the displeased look on my face). You can kind of tell that it’s being heavily weighed down by all the excess oil that my hair is producing (to make up for never having any oils because of shampoo). This is a photo from day 8, and it’s definitely my worst day so far. Although, I also had a day somewhere in there where my scalp was like, hey, I have an idea, let’s have a snow day, and so we did. (Aka, my scalp was covered in dandruf) it was unpleasant. As you can see, even after a blow dry, it still looks like it could be wet because of all the oil my head is producing. And this is where I am right now. I’ve read that it takes about six weeks of not washing your hair to really see results. And supposedly, once you make it through the first two or three weeks, the grossness starts to decrease. I’ll report back with what’s happening with my hair as time moves on and the experiment continues. Wish me luck. I’m going to need it, because right now, I really want to wash my hair. Ha! Posted on October 22, 2016 by AlexPosted in Girly Stuff, Hair Care, LifestyleTagged beauty tricks, chemical free, Hair Care, hair experiment, natural hair care, no poo, no shampoo, washing your hair.